Two men were rescued after their single engine plane crashed near the Delaware River on Saturday. The NC Air Traffic Control Tower at the New Castle County Airport reported Saturday, around 10:45 a.m. ET, that it lost contact with a small aircraft. State Police reported that the plane was located in the Delaware River in a muddy and marshy area between Fort Delaware State Park and Fort Mott State Park, New Jersey. However, SkyForce10 flew over the scene of the crash and showed that the aircraft had landed in a marsh near the water rather than in it. Officials say two "older men" were spotted in the water near the plane. A Delaware State Police helicopter arrived at the scene and rescued the two men. According to state police, their injuries do not appear to be life-threatening. A law enforcement source also told NBC10 that the men were covered in mud but appeared to be "okay." They walked on their own to an ambulance, according to the source. 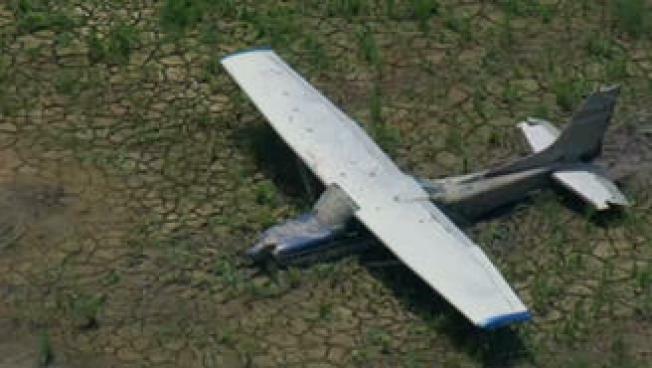 A Pennsville Police lieutenant told NBC10 that the plane sustained some sort of power failure. The FAA is currently investigating the crash. The plane will be removed from the crash site by helicopter Tuesday morning and set down in the field at the entrance of Fort Mott State Park. It will then remain there until the FAA conduct an inspection.